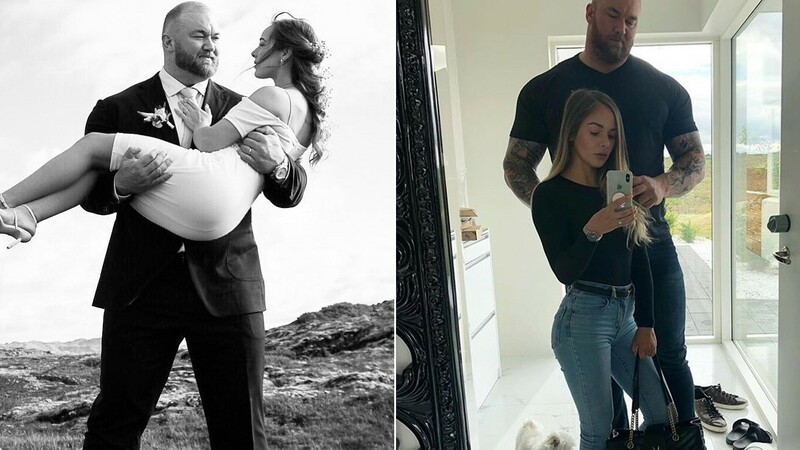 Icelandic actor Hafþór Júlíus Björnsson, also known as The Mountain from “Game of Thrones, announced on Saturday that he married to his Canadian girlfriend Kelsey Henson in his native country and the height difference between two is extreme. Strongman is 6 foot 9 inches and weighs 395 pounds, while his wife Kelsey Henson stands just 5 foot 2 inches. I get to hold this beautiful woman through thick and thin for the rest of our lives! I’m so excited for all of the future adventures we will tackle side by side. His wife Kelsey Henson is a fitness and lifestyle blogger. Both share photos on a regular basis on their Instagram. @thorbjornsson I love you now and forever and promise to stand by your side through all that life throws at us. I love you baby! Hafthor Björnsson won The Worlds Strongest Man competition at the 2018 Arnold Strongman Classic. He also won four times Europe’s Strongest Man as well an eight-time winner of Iceland’s Strongest Man. Björnsson earlier in March set the world record for raw deadlift at 1,041 pounds elephant bar deadlift world record at 1,041 pounds. On Monday Hafþór Júlíus Björnsson shared a photo on his social media saying traveling to Dubai in a first class with my wife for strongman competition. We are on our way to Dubai for @wusdubai – we are pretty stoked about our flight. Ash is a Certified Personal Trainer through the American Council on Exercise (ACE). She holds BA in Biology and Ms in Exercise Science (Kinesiology).